A Wedge-pair configuration is shown. The Wedge-pair raises the 750 to compensate for the softness of the surface being used and ensures that smaller movements are required to change the pressure experience. Sit or stand and gently rest your tricep on your TolaPoint. 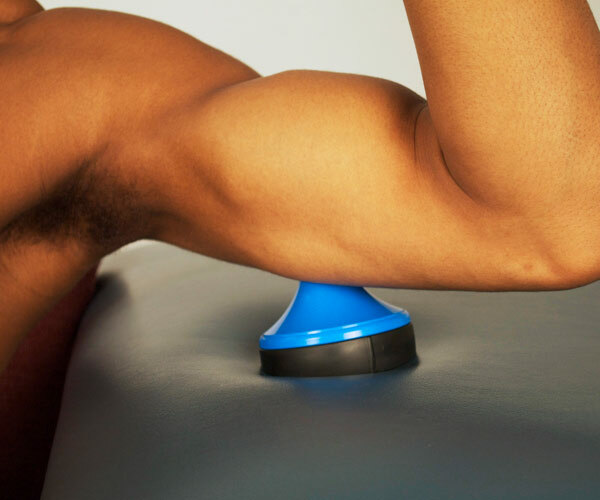 Relax your tricep and let the weight of your arm generate pressure as required. For more pressure, use your torso to shift more of your body weight over your Point.